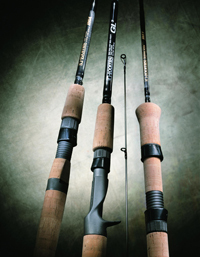 G. Loomis Classic Mag Bass Casting Rods (MBR) are 6’6” and 7’ bass casting rods were developed for increased casting distance as well as deep-water applications. The term MAG came from their magnum tapers that generate a lot of power and provide excellent fish-fighting capability. Longer rear-cork grips help provide leverage and balance. G. Loomis Classic Mag Bass Casting Rods are excellent for pitching or overhand casting and are unbelievably strong for such light weight rods. With three choices of materials these rods have found their way into a lot more than bass fishing. 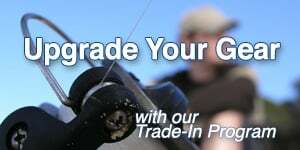 Great rods for most freshwater species as well as snook and redfish, these rods will never disappoint and always deliver as promised – and then some! A Limited Lifetime Warranty comes with every rod. All Made in the USA.